Welcome to Green Hills Foot Care! 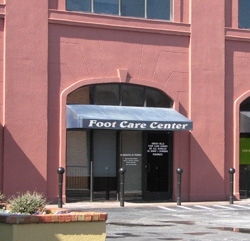 We have been proudly serving the podiatric needs of the Green Hills community for 25 years and offer a full range of services to meet all of your foot care needs. Our feet are one of the most important parts of our body and need to be treated with care. Podiatry is the branch of medicine that deals with the management and treatment of diseases that affect the feet and legs. We are dedicated to providing excellent care for our patients, and offer two convenient locations, both with front door parking. We are only a 10 minute drive from some of the finest hospitals in the country (listed in the top 100 hospitals nationwide) and can provide podiatric surgery both in our offices and at these nearby hospitals. We offer a full range of podiatric medicine, from diabetic foot care and custom shoe inserts to onsite x-rays and surgeries at both of our locations. Dr. Schuler has been in practice for 25 years and has dual board certifications by the American Board of Podiatric Surgery and the American Board of Podiatric Medicine and Orthopedics. She and our friendly, professional staff welcome you to our practice and look forward to finding the best solution for your needs. Please contact us today to schedule a visit. Your feet will thank you! Saturday hours available by appointment!